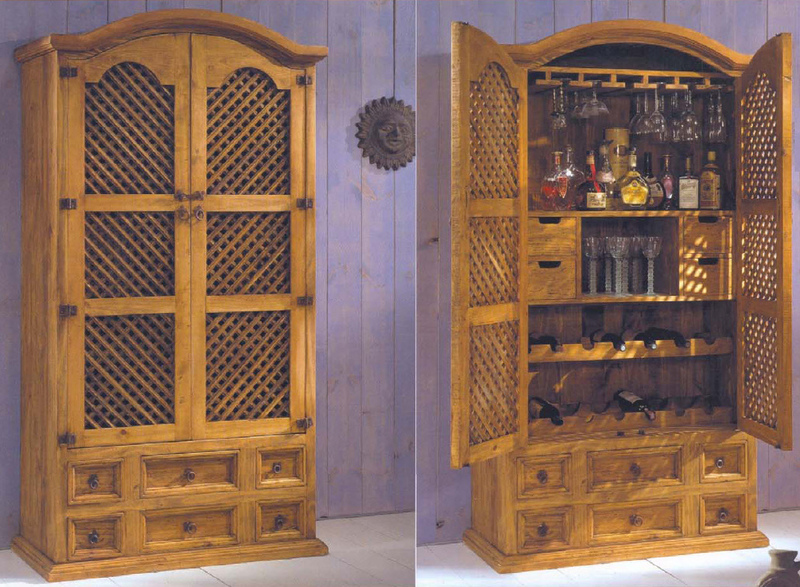 Handsome and fantastically clever armoire bar -- festive and elegant at the same time. A gathering of friends just waiting to happen! Great lattice work enhances texture and appeal while keeping your libations private until you choose to delight family and friends by opening its doors. Beautifully organized interior can hold your wine glasses and bottles as well as napkins, small plates and other miscellaneous items. A wonderful piece of furniture to help support your entertaining of family and friends in your Mexican dream home. Come one; come all! Available in Light, Medium or Dark finishes. 100% solid kiln-dried pine wood.